If you’re new to the world of crochet, you might be a little intimidated when it comes to crochet blanket patterns. It might seem like a daunting task but free crochet patterns for beginners do exist! You may think that those free patterns for beginners might be simple and old-fashioned. But in fact, free crochet blanket patterns for beginners don’t have to be boring. You can use fun colors, cool designs and so much more to inject some life and energy into your patterns. Snowflake Crochet Afghan with Free Pattern belongs to this category. 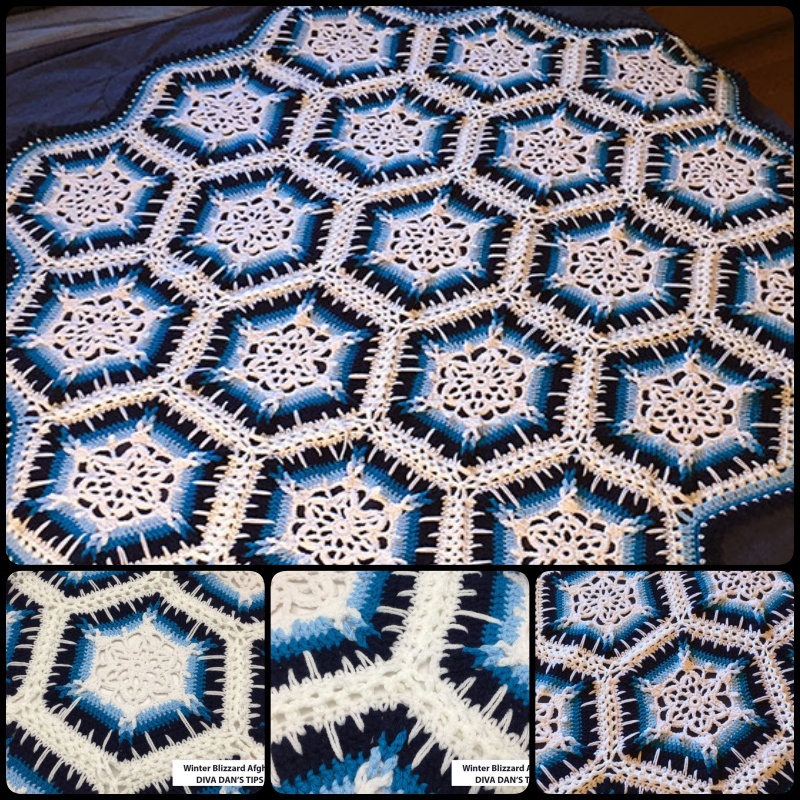 Create this beautiful snowflake blanket to keep you warm and cozy. It’s a perfect throw for story time or just to sit on your couch as a nice piece of decor. Or you can make baby blankets for a shower. It’s the most meaningful because they can be passed down from generation to generation. Happy crocheting Snowflake Crochet Afghan.